Professional – Clean Slate Landscape & Property Management, LLC is a professional lawn sprinkler company in your area and has been since 2000. No matter what you do to your lawn to make it grow and remain healthy, keeping it watered is one of the most important things to do. With properly functioning lawn sprinklers, ensuring proper water levels is easily achieved. Timely – Clean Slate Landscape & Property Management, LLC will also promptly respond to any and all of your lawn sprinkler requests. Whether you need to have sprinklers installed on your property in a speedy fashion or have a lawn sprinkler issue which needs to be resolved, we are the company to call. Lawn sprinklers ensure that your grass will stay well-watered, and therefore, grow at a steady pace and maintain a lovely green color tone. Affordable – Clean Slate Landscape & Property Management, LLC lawn sprinkler services are also affordable in price. We offer many different levels of lawn sprinkler services and will find one to fit perfectly within your budget. You shouldn’t have to spend a fortune on lawn sprinkler equipment or repair and we help to make sure that you won’t. If you want your lawn to stay green and look vibrant, installation of lawn sprinklers is the way to go. 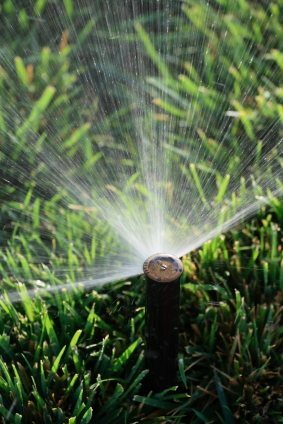 Should you need to have lawn sprinklers installed or if you have lawn sprinkler repair issues which need to be addressed, contact Clean Slate Landscape & Property Management, LLC today at (508) 669-7959. We can help!